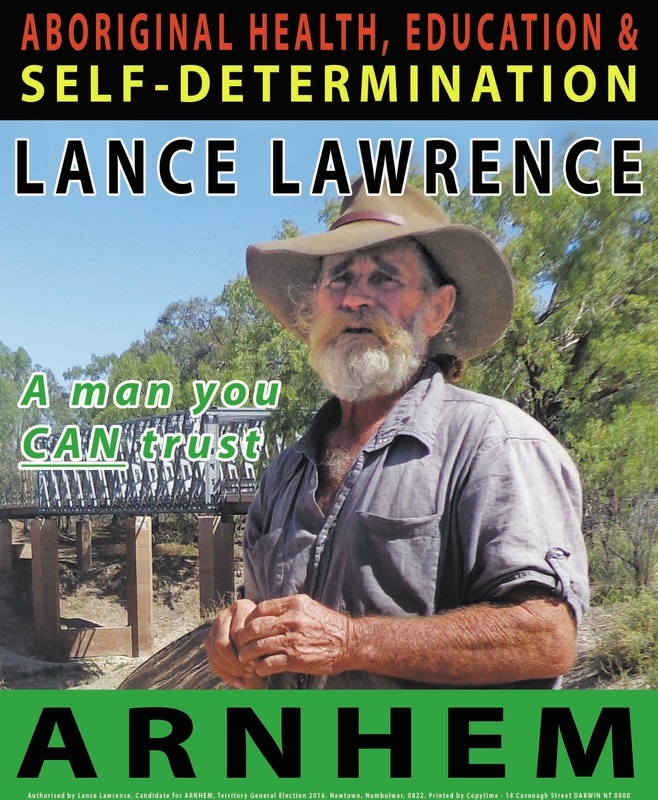 After 50 years in the Territory and 35 years working WITH Countrymen, FOR Countrymen in South East Arnhemland, all my life I have been trying to create change and improve the conditions in which our tribal traditional Countrymen live. Self-sufficient agriculture for ALL Aboriginal communities and occupied outstations, returning and increasing funding for Countrymen to live healthy on their own land. Better health, stronger bodies, better opportunities. Increased and better resourcing of remote Indigenous schools, on par with the Gonski reforms and individual student needs based-funding models that reflect the real and actual needs of our Indigenous children. And self-sufficient agriculture should be part of the curriculum for strong, healthy children. Allowing Countrymen to grow their own Gunja for personal use is the only way to stop many of the problems that come with the prohibition against cannabis. The demand will never stop, but paying 1000% more for a gram of Gunja than in town areas only serves to line the pockets of rip-off dealers. The smoking is not the problem but the costs leaves less money for food. This is a significant problem in relation to health which needs harm minimisation approaches, rather than waiting for ICE to go bush. Returning actual Authority to Local Authorities and holding the Shires accountable for the cooperative management of their areas. At an NLC meeting in Gove before Christmas last year, I was reliably informed that 100% of the delegates from all over Arnhemland were opposed to the Shires. Countrymen feel excluded from decision making and have been forced to let go of their powers of self-determination. Funding to Shires for remote areas of Arnhemland need to be transparent and better spent towards the real needs of communities.